Platonic solids are regular 3D shapes with all the faces and corners being the same. They are named after Plato who was first person to enumerate them. There are five Platonic Solids, you can download and make a set of them here. How about this for an idea? Platonic friends. 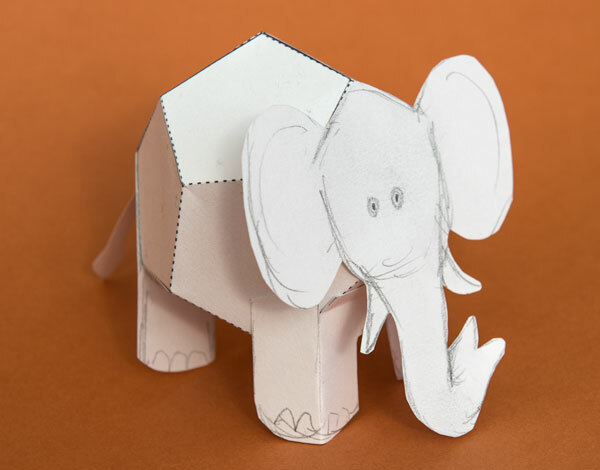 Five cute paper animals each based around one of the Platonic solids. 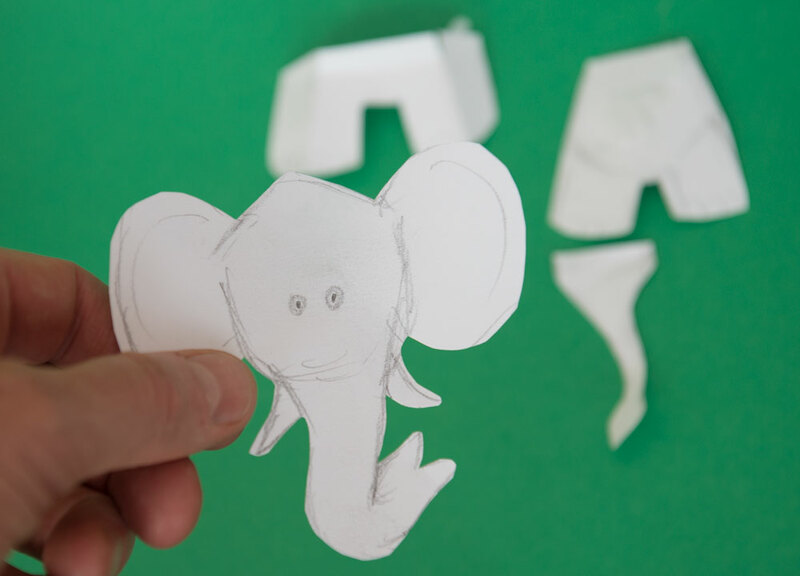 Here’s my first draft – the Platonic Elephant. 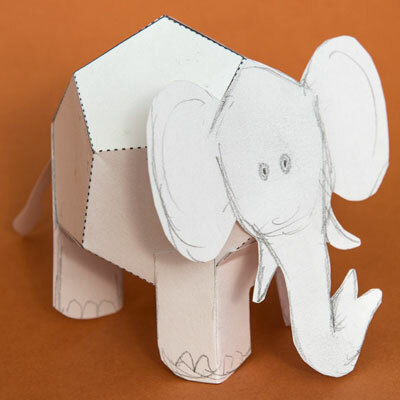 The Platonic Elephant is based around the dodecahedron. 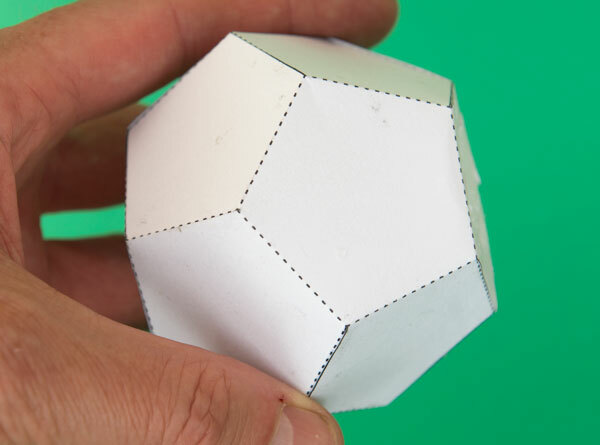 A solid shape made from twelve regular pentagons. To this I’ve added face tail and legs to make a Platonic friend. Next step – scan the parts and transfer them to the computer before adding colour as appropriate. Cute! Love the idea. Clever.